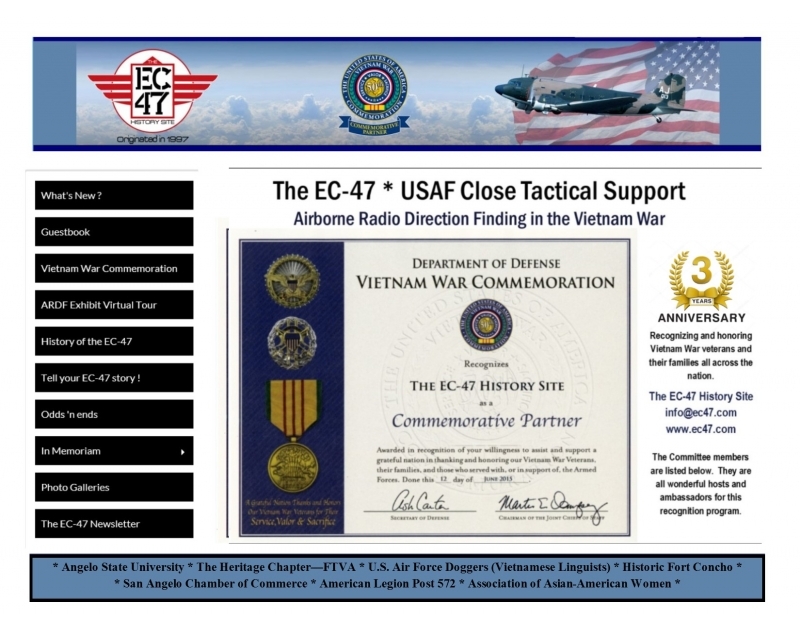 The EC-47 History Site registered with the 50th Vietnam War Commemorative Partner Program (CPP) on June 12, 2015. Click anywhere on the above graphic to link to the national commemoration website. The EC-47 History Site CPP committee organizations have hosted and supported more than forty Vietnam War commemoration ceremonies. They also support a commemorative lapel pin mail-out program for veterans living outside the service area of nationally registered CPP organizations. EC-47 ARDF Operator and ec47.com website manager. NEW! 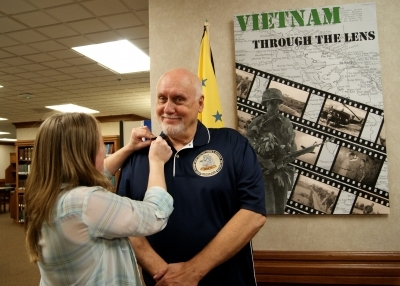 Click on the photo above to link to/visit the EC-47 History Site CPP companion website for announcements for up-coming events, online registration forms and a photo gallery of commemoration ceremonies, community and Goodfellow AFB Vietnam War memorials...and more. The companion website is provided free of charge by Mr. Jody Gentry, Mediajaw Web Designs, San Angelo, Texas. Commemoration after action reports are submitted within 30 days of completed events. These reports are also posted on this website and may be read by clicking on the links provided below.